Instant Whey amino acid profile (per 100g of protein). I couldn't find any amino acid information for Instant Whey. Summary: Reflex Instant Whey is a high quality, high protein, low calorie powder that doesn't taste nice and doesn't mix well. It's great for quality, but not great for enjoyment. When creating Instant Whey, it seems as though Reflex put all their energy in to producing a high-quality protein powder that's both high protein and low calorie. For that, I salute them. However, it also seems as though taste and mixability were afterthoughts, with taste being the most last-minute of those afterthoughts. 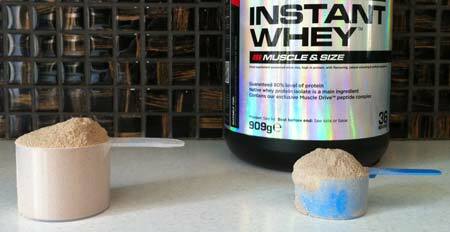 If you're looking to quickly pick up a high quality whey protein powder, Instant Whey is a good shout. In fact, Instant Whey is an excellent shout. On the other hand, if you're after a strong all-rounder that also tastes good and mixes well in addition to being a quality source of protein, you're better off looking elsewhere. True Whey by MyProtein would be my recommendation. For a whey blend (contains whey protein concentrate, whey protein isolate and whey protein hydrolysate), Instant Whey delivers a massive 80.00g of protein per 100g of powder. This is extremely high for a whey blend. Keep this 80g figure in mind when looking at other whey blends and you'll notice how impressive it is. You honestly cannot fault the quality of the powder with Instant Whey, and it's by far the biggest selling point of the product. 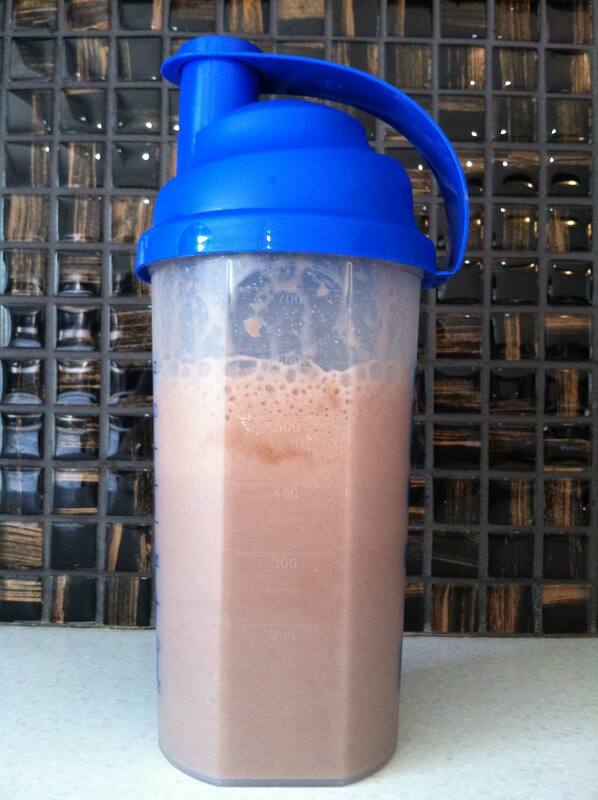 If you want a low calorie whey blend, you'll struggle to find anything that beats Reflex Instant Whey. It's perfect if you're looking for a top-notch source of protein without any unwanted added extras. Instant Whey tastes kinda "wheaty". Now I know very few of us eat plates of wheat on a daily basis, but I'm hoping you can try and imagine what I'm describing here. Either way, the shake is bland and doesn't taste nearly as good as the flavour advertised. If you blindfolded me (easy now tiger, this is just a supplement review) and gave me a shake of Instant Whey, I doubt I'd be able to tell you the flavour that it's meant to be. Unless of course the powder was "Double Wheat Extreme". The taste isn't unbearable, it's just disappointing. It's not bad enough to fear drinking your next shake, but it's just about unpleasant enough for you to look forward to getting to the end of the tub. Again this is just all so disappointing, because the powder itself is awesome quality. At least it's better than Nutrisport's Whey Isolate. Instant Whey tastes much better with milk than it does with water. Much better, almost nice even. 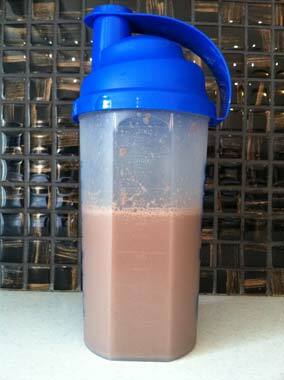 Instant Whey Mixability: 50g of powder + 400ml of water. It has a tendency to be a bit lumpy if you're not careful and it froths a lot at the start. It's not the worst mixing powder in the world, but if I didn't have a shaker at hand I wouldn't like the idea of mixing it in a glass. After 30 seconds the shake settles and it's just as smooth to drink as any good whey protein supplement. I'm obviously being very picky here by taking offense to this initial frothing, but when there are other whey powders out there that don't have this problem it's clearly something that "could be better". The most annoying thing about Instant Whey however is the little baby scoop that comes with the tub. Honestly, it would be quicker to shovel the powder in to your shaker with a fork. It only hold 20g on a good day, which makes it more difficult than it should be to quickly and easily estimate the right serving size. Furthermore, all that extra movement increases the probability of you getting powder absolutely all over the shop. Instant Whey's baby scoop can barely hold 20g of powder, whereas the more popular one on the left can comfortably hold 40g+. If you've already bought a protein before and you're planning on buying Reflex Instant Whey, save the scoop from your old tub.